When it comes to rentals, at Seery Strings you will find a program that provides you with a quality instrument, with a superior set up, for a great price. Our violins, violas, and cellos offer exceptional value in every aspect–aged tonewoods, quality ebony parts and fittings, quality varnish, real inlaid purfling done with skill, and beautiful consistent tone. The bows we provide are either well-balanced brazilwood or composite and offer beginners an advantage over the lower quality plastic bows commonly included with rentals. Both instrument and bow nestle safely in a durable, protective case that offers ample room for storage of accessories. Just as important is the Seery Strings set up. Our top notch set up attends to every detail and allows our renters to excel without “fighting” with their instruments. Because we believe that children deserve the best musical experience possible, we have chosen instruments that sound great and are exceptionally playable. We want our renters to be excited to play! 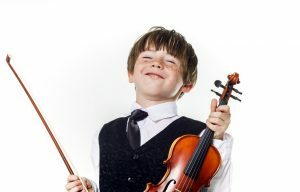 Finally, Seery Strings is committed to providing our customers with unparalleled service. When you call, text, or email you will reach one of the owners, every time. Knowledgeable and friendly, we will treat you like family, and be able to answer all your questions pertaining to bowed string instruments. As with everything we do, your satisfaction is guaranteed.